Grow like the Pros because the Pros grow for you! Ever since our build-out started at The Cook’s Garden by HGEL on Abbot Kinney here in Venice, CA, we have been approached by many residents in the neighborhood asking about opportunities to lease a box for themselves and their families. While we continue to talk to restaurants and chefs in the area, we have decided to open a limited number of boxes to home cooks in the neighborhood. We’re not a community garden so think of this as a huge CSA box, but you decide what we grow for you. 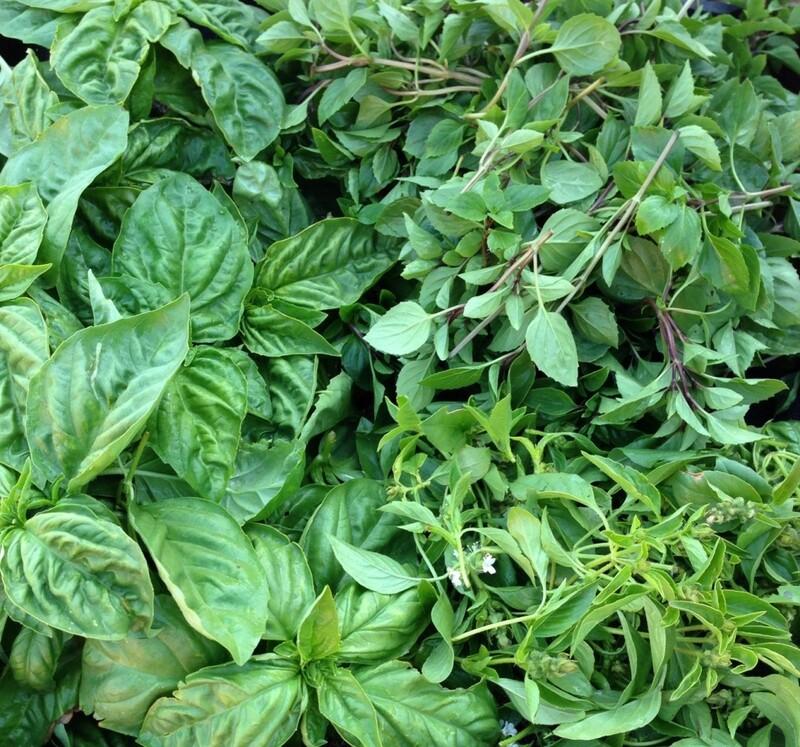 We sit down with you seasonally to plan and design your planting for the next season all for a weekly cost comparable to the average family’s farmers market/organic grocer budget! We welcome leases split between one other family or person. Please email us for details on pricing per box and to make an appointment to arrange a lease. 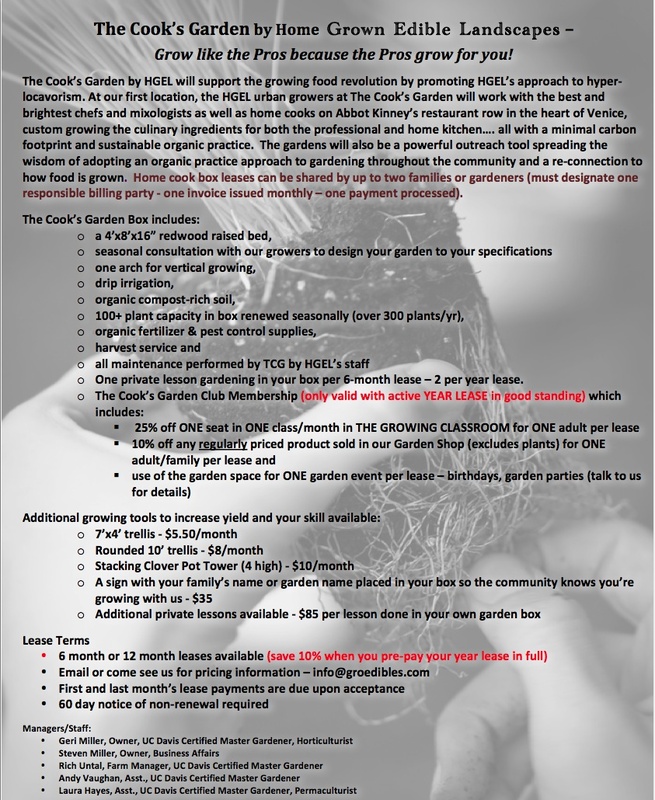 Below you’ll find the details about home cook leases at The Cook’s Garden. If you’d like to download and print a copy, click HERE! 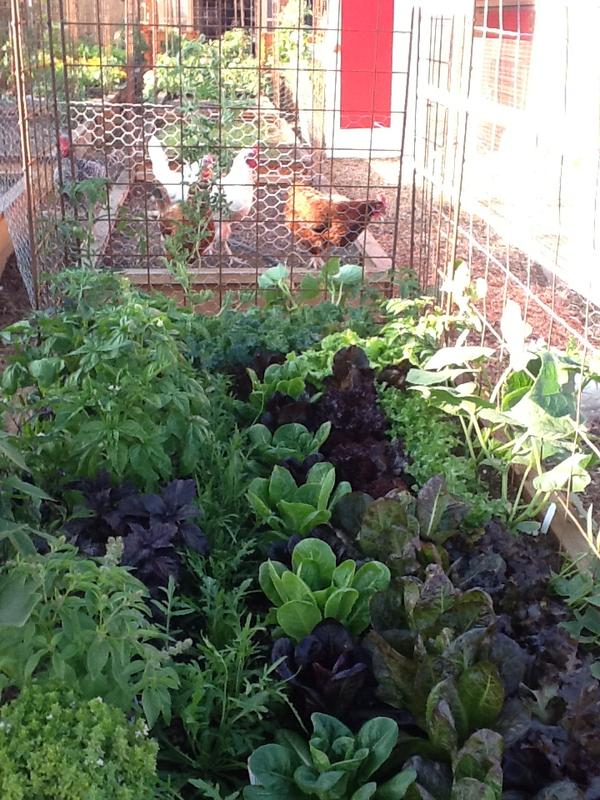 This is one of our Home Cook's Boxes -planted just 2 weeks ago, they got their first harvest of 1.5lbs of lettuce!